Congratulations to two new OWSIs! 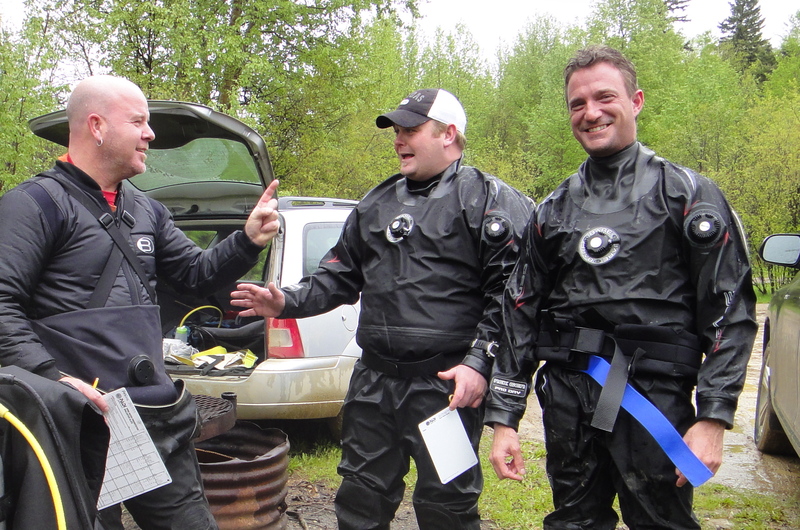 Teaching scuba is an awesome way to spend your time. You get to participate in “a-ha” moments, watch people do things that make them nervous and help them grow as people. We take pride in the fact that many of our students are “repeaters” who have worked with us at various points in their progression as divers. Warren McKay and Bernie Cyr are two such students. Warren started with us early in 2009 when he joined us on a trip to Cozumel and completed his Advanced Open Water and several specialty courses. He then went on a trip to Utila with Matthew and completed his Rescue Diver course. Bernie had been on several trips with us to Cozumel starting with our first trip in 2007, and in summer of 2008 he and his wife Debbie completed their Rescue Diver training with Matthew. 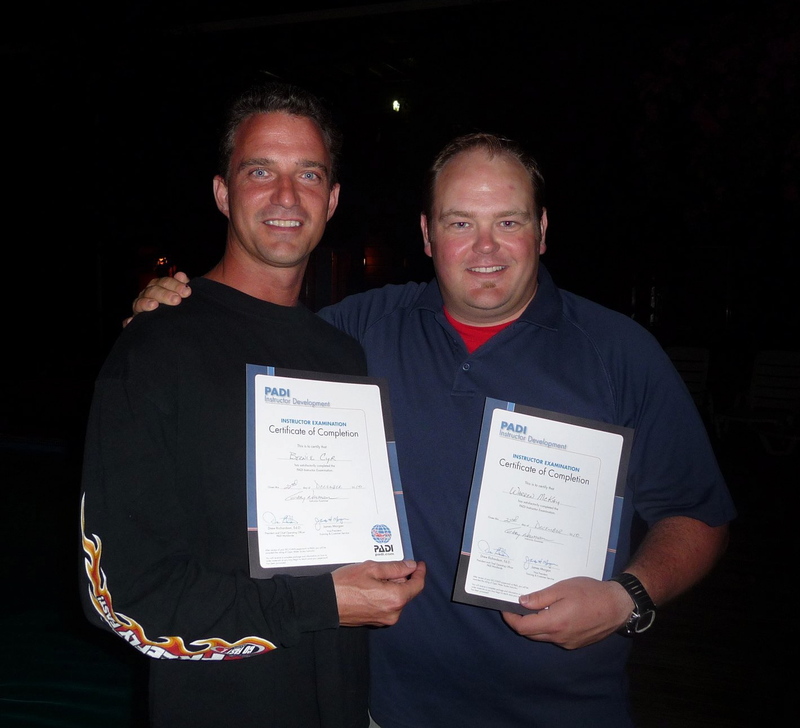 Warren and Bernie went on to complete their Divemaster training with Matthew, and then in May of 2010, their Assistant Instructor course. All of this culminated in a trip back to Utila Dive Centre in December 2010/January 2011, where Warren and Bernie successfully completed their Instructor Development Course and the PADI Instructor Examination, becoming full-fledged Open Water Scuba Instructors. They also completed the preparation work to become Master Scuba Diver Trainers. Congratulations to you both, and welcome to the club! This entry was posted in AtkinsScuba offers Congratulations!, Matthew Atkins, Ocean Sports, PADI, Uncategorized. Bookmark the permalink.